Friday, October 7, 2016, marked the celebration of a long-anticipated event; the dedication of our new College of Business Ad ministration building. Thanks to the generous support from alumni and friends, we are working and teaching in a state-of-the-art building. We now have a lecture hall that seats 250, three 48 seat computer classrooms, three 80 seat classrooms, and thirteen 48 seat classrooms. 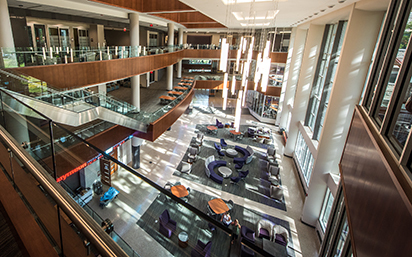 This building was only possible because of the support and commitment of K-State alums and friends.